I have been really quiet on the blog (for the first time in many years if I might add) because my family has been going through a transition these two months. 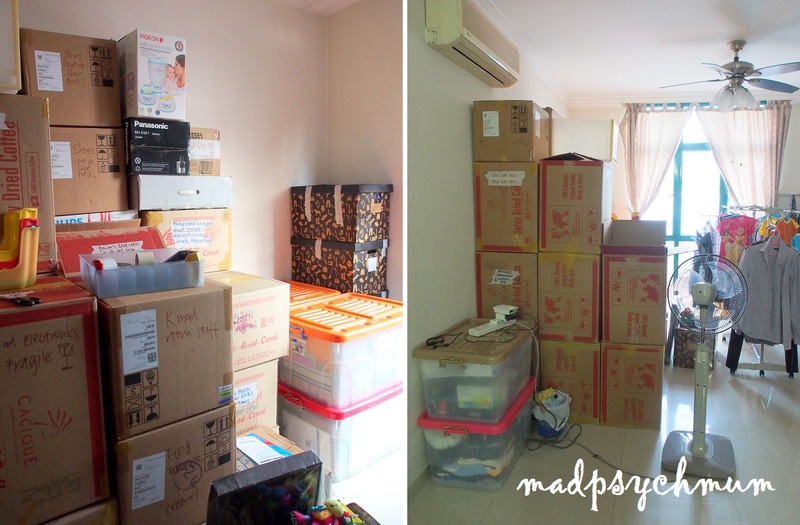 For one, we sold the house in Tiong Bahru and moved to another neighbourhood further up in the West to be nearer to the hubby and brother-in-law's workplaces as well as a potential primary school for my girl. That meant spending almost every weekend packing up all of our stuff into boxes for moving, which is no mean feat considering we were four adults and two kids! As usual, the OCD in me ensured that there was a system to all the packing! To ensure that moving day was as hassle-free as possible, we hired professional movers to do the job. Sure, it is more expensive but they got the job done in just four hours! Definitely well worth the money in my opinion. Our new place is a rented condominium unit, which was the same rental price as a 4-room HDB flat in the same area, but with facilities and without the conservative and parking fees (can you say free parking for two cars?! *grin*). We are going to rent while looking for our permanent house in the same neighbourhood. Why did we choose to rent for a year instead of buying a new house straight away? Renting lets us have an idea of how it feels like to live in our prospective neighbourhood without actually committing to it. If we don't like it, we can still move back to Tiong Bahru or some other neighbourhood. 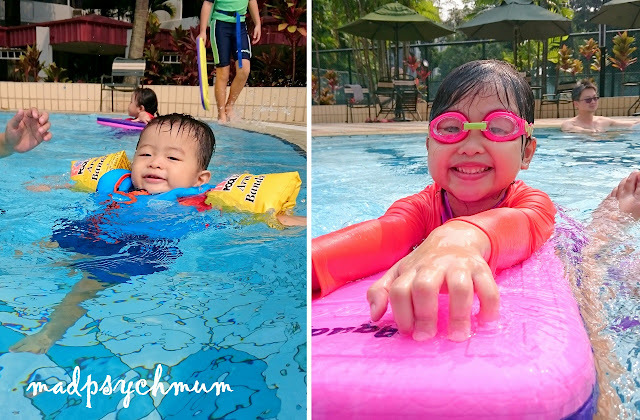 My very ecstatic kids in the pool! Since we no longer live in the heart of town (*sob*), the hubby also got me an 8-year-old car so that it is more convenient for me to send my girl to school and go to work. 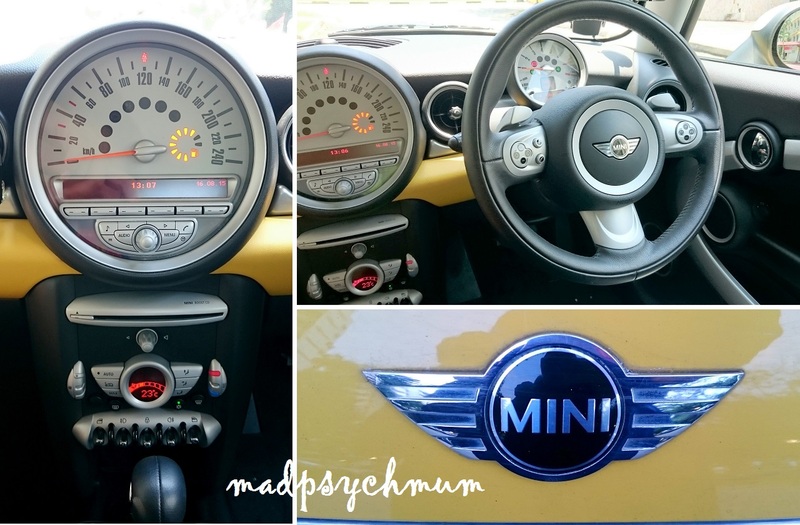 "When I get my own car, I will buy a miniature one exactly like it to put on the dashboard. Wouldn't that be cool?" I used to say to myself whenever I browsed the collection of die cast cars in the kids section. So after searching everywhere for a yellow, die cast MINI Cooper that looked as much like MINIbee as possible, I finally found one in Batam for only S$10! Other than not having white side mirrors and two white stripes on the front bonnet, mini MINIbee looks exactly like, well, MINIbee! 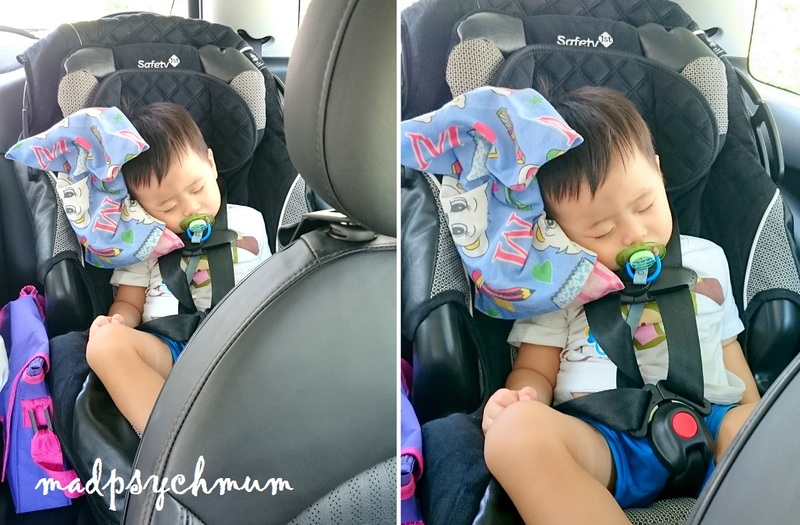 As MINIbee is not very big, I decided to get a preloved carseat that was suitable for both my girl and my boy. That way, either one of them can travel in it if I ferried only one of them because I think it is safer for my girl to travel in a full car seat. However, as I can't possibly fit two full size car seats in my MINIbee, my girl will have to sit in a booster seat whenever I have to drive both (works out ok for us so far). I managed to find a really good one that coincidentally came with a Lower Anchors and Tethers for Children (LATCH) System (read more about the LATCH system here) that matched perfectly with MINIbee. In essence, the LATCH System was created to overcome the problem of people wrongly installing car seats using the car's seat belt. I found the LATCH system better and easier to install the car seat than the regular car seat belt; I strongly encourage you to get a car seat with the LATCH system if your car is compatible. Looking forward to more Adventures with MINIbee!